Hello there! I hope your Saturday is going well! I have been spending it in my stamp room doing some major reorganizing! I decided to take a break and create something! 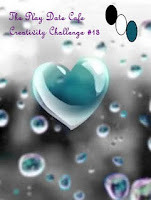 I used Jen's Sketch For You To Try from last Saturday and my color inspiration is from The Play Date Cafe Creativity Challenge #18. The card is pretty self-explanatory, so I won't bore you with all the details. My patterned papers are from SEI Black Orchid, and I added a lot of stitching! Now it's back to reorganizing for me... Thanks so much for stopping by! Accessories: Labels Nine Nestabilities (Spellbinders), Scallop Sentiment border punch (Fiskars), Square punches (EK Success), Flowers (Prima), Pearl (Kaisercraft), Pearl brad, Foam tape, Thread, Sewing machine. I need to reorganize mine too but waiting until April when hubby is home so I can sell some of the kids stuff in here and take over more of their toyroom..heheh! This is a gorgeous card! Love the colors..design...everything! Really gorgeous Stephanie - but of course I wouldn't expect anything less of you! Those colours are just gorgeous! 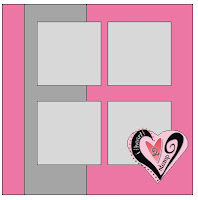 Haven't had a chance to do much creating recently - making my cousin's wedding stationery - gosh there's a lot of it! I'm always re-organising my craft room andit always looks a mess! Gorgeous card, and I love all that stitching! I'm another AZ paper crafter, living near Wickenburg. I just recently discovered your blog and am truly enjoying what I'm seeing! 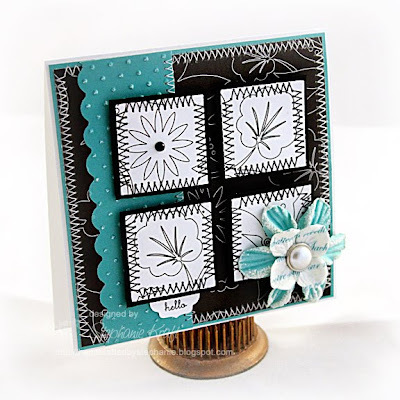 BeAuTiFuL card Stephanie...love all the elements that create texture and dimension.